Today I’m going to share with you my little secret for staying healthy through the winter months. Last year, I was in a community theater play and my friend, who is a voice coach, told me to drink hot honey lemon water to help my throat and keep my voice healthy with all the singing I had to do for the play. She said it was nasty stuff, but it worked. But she didn’t tell me how to make it, so I made it up on my own and my version is not only not nasty, it’s downright delicious! It is stronger than a tea, more like hot lemonade. Yum. For me, this is like a miracle drink. It soothed sore throats, and actually helped me not catch all the germs my kids brought home from school. 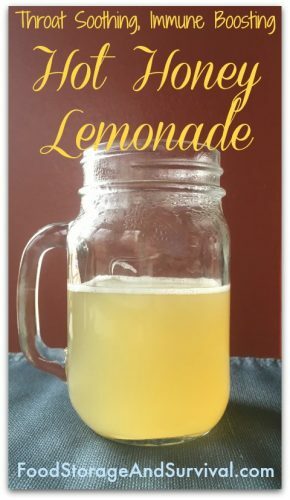 Now, every time I feel like I have something coming on or someone in the house is coughing or sneezing or complaining of a sore throat, I drink a mug of hot honey lemonade at least once a day (sometimes two or three times) and so far, have yet to actually get sick! It’s tasty enough that sometimes I drink it even when I’m not trying to ward off infection! Plus, it’s super easy to make, and you may already have the three simple ingredients at your house. 1. Heat your water and measure 3/4 cup to 1 cup hot water into a mug. The amount of water you start with will determine how concentrated your final drink is. I like mine just over 3/4 cup. 2. Add the lemon juice and honey to taste. 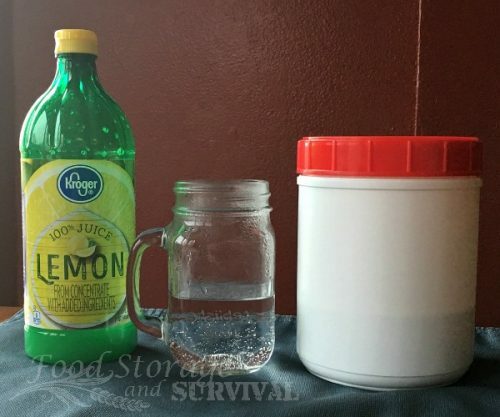 You could juice an actual lemon for this or use the lemon juice in a bottle. I do a heaping spoonful of honey. My honey is from my bees, but you can buy raw honey at your local health food store, on Amazon, or, even better, from a local beekeeper. 2 TB of lemon juice gives you approximately 25% of your daily vitamin C, and the raw honey is a natural throat soother, antibiotic, and contains healing enzymes. 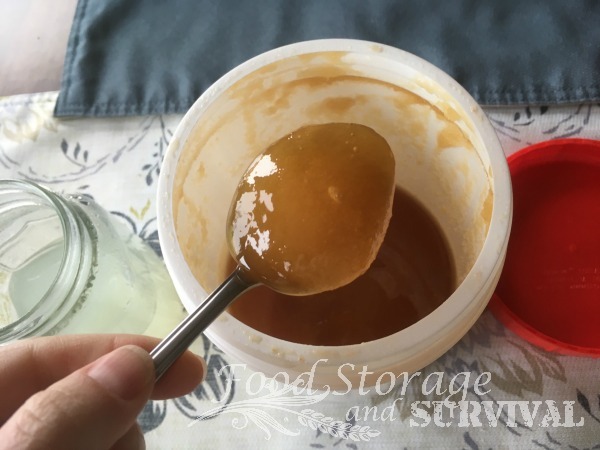 Local honey could also have the added benefit of helping with seasonal allergies. That’s it. It’s super simple, delicious, and good for your immune system. Enjoy! I am totally using this! Thank you for sharing! We got some raw honey here locally and within a few days it was completely hard. Do you know how to make it usable again? Thanks, girl! You’re very welcome! Soften it by placing the container in warm water or a sunny window sill. Don’t microwave as it has the potential to create hot spots that will be hot enough to kill the good enzymes in the honey. 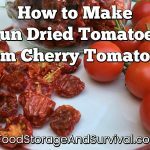 I’ve put mine next the the oven when I’m baking or near the dehydrator when I’m drying stuff and it warms it up nicely, too.